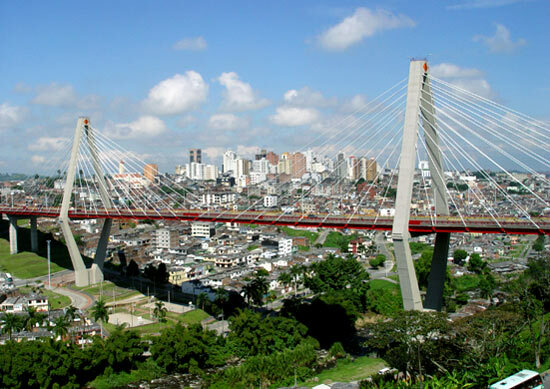 Pereira Colombia is the largest city in the Coffee Region with over 600,000 inhabitants. It is situated at a lower altitude than its neighbours Armenia and Manizales and so enjoys a warmer climate. The city also has a more modern feel than either Armenia or Manizales and is clean and well organised. Pereira and the department of Risaralda as a whole forms part of the Paisa region of the country, along with Antioquia (capital Medellin), Caldas (capital Manizales) and Quindio (capital Armenia). The four departments were once joined together in what is known as 'Viejo Caldas' (Old Caldas). Here you will find a culture very similar to that of the other departments of the region and will detect the same Paisa dialect as exists in Medellin for example. The capital of Risaralda isn't exactly bursting at the seams with tourist attractions, but there are enough places of interest in and around the city to keep you busy for a day or two. 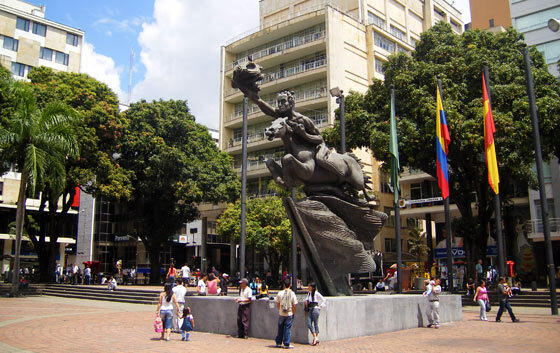 The city is centred around Plaza Bolivar, a large square featuring a statue of a near-naked Simon Bolivar on horseback. Around the plaza are the usual amenities including banks, shops and restaurants. A few blocks south-east is Victoria Plaza, a large open square bordered by the Victoria Plaza shopping mall and a large Exito supermarket. Most travellers tend to spend no more than a night in Pereira. For tourists, the city mainly serves as a handy location from which to get to the picturesque town of Salento set in gorgeous green hills dotted with coffee plantations. Salento really is unmissable! In my opinion the Movich Hotel de Pereira is the best hotel in the city by far. It has a good central location, close to banks, restaurants, bars etc. The hotel facilities include swimming pool, spa, gym and 3 restaurants. The rooms are bright and spacious. Highly recommended! For a slightly cheaper option try GHL Hotel Abadia Plaza, also located in the downtown area of the city. The hotel has a spa, gym and a good restaurant. 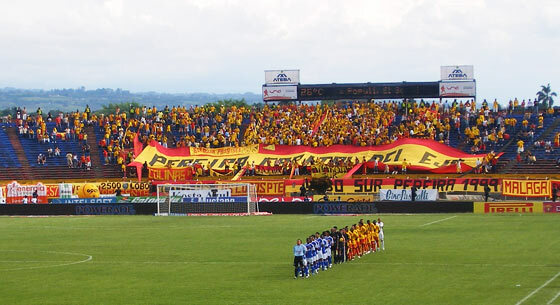 Football club Deportivo Pereira currently play their home matches in the 32,000 capacity Hernan Ramirez Villegas stadium on the outskirts of the city which was renovated for the 2011 Colombia Under 20 World Cup. Although the team known as the 'Matecañas' have never won a championship they have produced some quality players, most recently Carlos Darwin Quintero, who has featured for the Colombian national team. 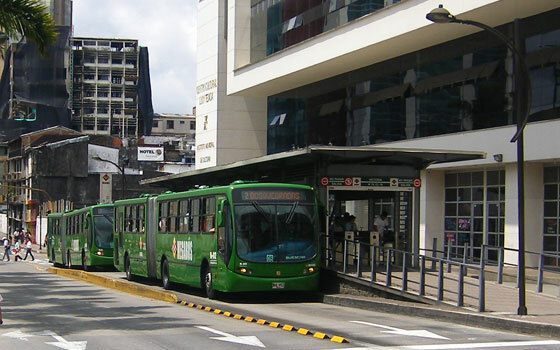 Pereira, like various other Colombia cities, has followed in the footsteps of Bogota and installed a Transmilenio-style bus system called Megabus. The lines run from the airport in the west, passing through the city centre and then north-east over the viaduct finishing in Dosquedradas. Reports suggest that the system has gone a long way to alleviating congestion in the city. It's worth taking a ride in the Megabus to get an idea of the size of the city and passing over the viaduct allows for some decent views.